The curtain rose on the 2018-19 La Liga season this week, and Real Madrid start off with a relatively straightforward outing on paper. The European champions begin their league campaign at home, when they welcome Getafe for a Madrid derby at the Bernabeu on Sunday night. Real Madrid largely had a summer to forget as they saw Zinedine Zidane and Cristiano Ronaldo depart within a span of two months. 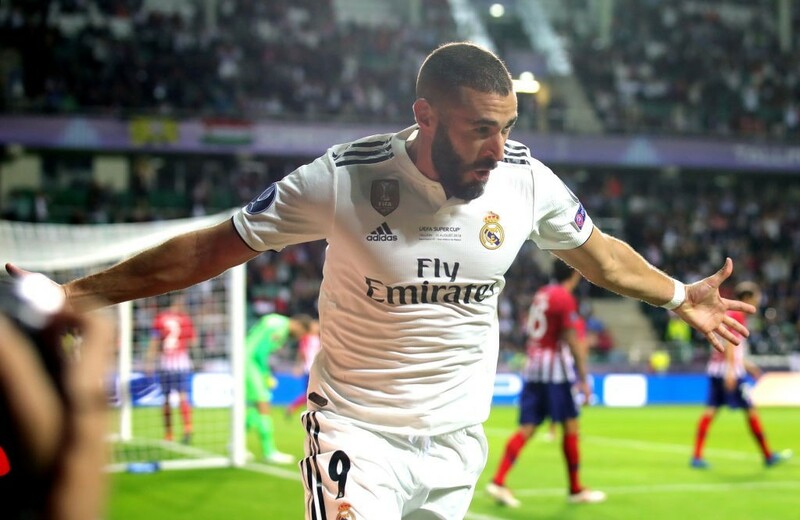 The subsequent transfer business this summer hasn’t exactly provided a lot of confidence, and Los Blancos come into the match off the back of a 4-2 loss in the UEFA Super Cup at the hands of local rivals Atletico Madrid. Getafe, on the other hand, enjoyed a fine pre-season, making a number of strong signings while in addition to a number of solid performances in their six friendlies. The Azulones kept a clean sheet in five of those matches, with their final outing ending in a 3-3 draw against Girona. The corresponding fixture last season ended in a comfortable 3-1 win for Real Madrid, with Cristiano Ronaldo scoring a match-winning brace. Ahead of the latest meeting between the two sides, The Hard Tackle takes a closer look at the encounter. Julen Lopetegui has a couple of issues to deal with ahead of his side’s season opener in La Liga. The Real Madrid boss is set to be without two first-team players, with the availability of Casemiro doubtful as well after he picked up a knock in the UEFA Super Cup tie against Atletico Madrid. The players who will definitely miss out are Jesus Vallejo (leg) and Alvaro Odriozola (groin), with the latter having to wait before he can make his competitive debut for Real Madrid. The duo though, are not first-choice players in their respective positions, meaning Lopetegui will likely name a full-strength lineup against Getafe. The big decision for the Real Madrid boss will be his selection of the goalkeeper. For the season opener, Keylor Navas might just get the nod, with Thibaut Courtois having to bide his time for now. In front of Navas, the usual quartet of Dani Carvajal, Raphael Varane, Sergio Ramos and Marcelo should complete the back-four. Casemiro could be given a bit of a breather to shake off his knock. Toni Kroos and Luka Modric are likely to start in the midfield pivot, which should bring back some fond memories of the duo’s partnership during Carlo Ancelotti’s time at Real Madrid. Meanwhile, the rest of the side should remain unchanged from the Super Cup fixture, with Isco bringing the creative touch from an advanced midfield position. 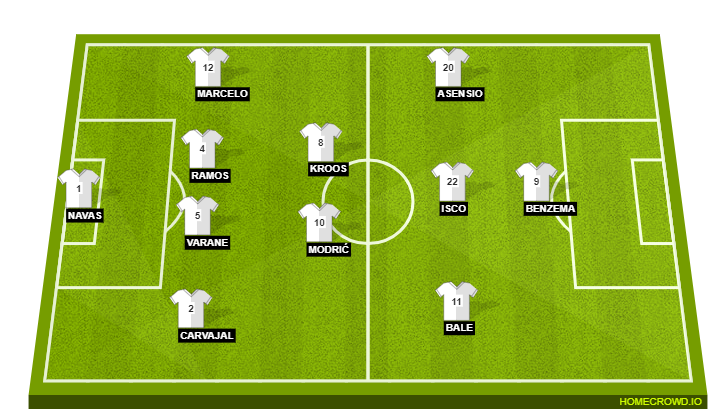 Gareth Bale will look to provide the pacy outlet on the right flank while Karim Benzema will be aiming to continue his good run in front of goal, with Marco Asensio completing the lineup. Jose Bordalas has a few issues on his hands ahead of the short trip to the Bernabeu on Sunday. The Getafe manager will be missing the services of two first-team players, with Markel Bargara (broken arm) and Djene Dakonam (knee) unavailable to face Real Madrid. 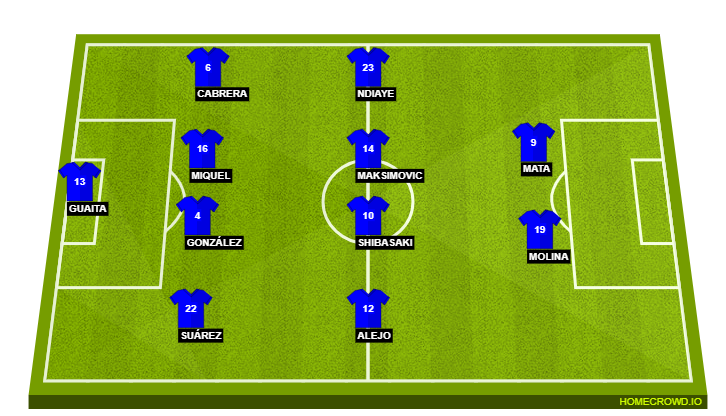 Meanwhile, a number of summer signings should get their full competitive debuts for the Azulones, with the likes of David Soria, Ignasi Miquel, Nemanja Maksimovic and Jaime Mata among those with the strongest case to receive their first starts for Getafe. Bordalas should ideally set his side up to defend in numbers, with two blocks of four looking to stifle the Real Madrid midfield. In the middle of the park, the onus will be on Maksimovic to organise the midfield line while also starting up the attack for his side. With pacy wingers like Ivan Alejo and Amath N’Diaye on the flanks, the Getafe boss will likely instruct his side to take the game to Real Madrid with swift counter-attacks. Those aiming to finish most of the moves in the final third will be captain Jorge Molina and Mata, who could be an inspired free signing from Real Valladolid. Real Madrid have won each of the last nine matches against Getafe since a 2-1 away defeat in August 2012. Both teams have scored in all of the last five meetings. The 88th edition of La Liga will be the first ever featuring five clubs from the Madrid region, two of whom will be playing Sunday’s game at the Bernabeu. Real Madrid have not lost at home on the opening matchday of a La Liga season since 1984 (0-3 against Barcelona), remaining unbeaten in their 14 home games since then (W10 D4). This will be the first time when Getafe will kick off their La Liga season with a derby. The Azulones have failed to win any of their last seven La Liga season openers (D2 L5). Jorge Molina could play his 150th game in La Liga. The forward has scored more goals against Real Madrid (five) than against any other La Liga opponent. The departure of Cristiano Ronaldo, and the hesitancy to bolster attack, means that the remains of the erstwhile BBC – Gareth Bale and Karim Benzema – will now have the responsibility to score the bulk of the goals for Real Madrid. While Bale seems to be relishing the prospect of being the new superstar at the Bernabeu, Benzema is evidently looking sharper than he has in recent memory. With enough creative midfielders supporting him now, the Frenchman could be back among the goals, and in some style. It will be a huge surprise if Benzema finishes another league campaign with single figures for goals. Season openers are always tricky, and the game between Real Madrid and Getafe on Sunday shouldn’t be any different, especially with the added excitement of a derby to begin things. 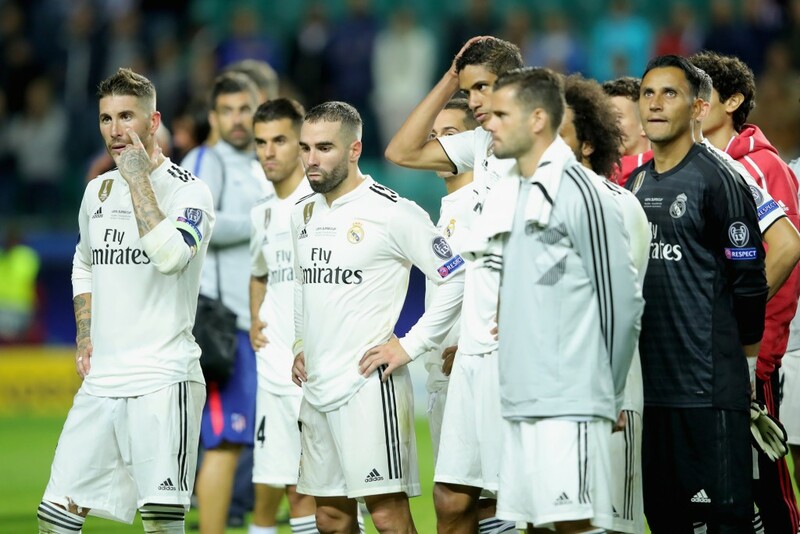 Los Blancos will be eager to brush off the disappointment of their UEFA Super Cup loss quickly, while the Azulones will be viewing the match as a chance to perhaps cause an early upset. The game though, should be a tight affair, with clear-cut chances coming few and far between for either side. 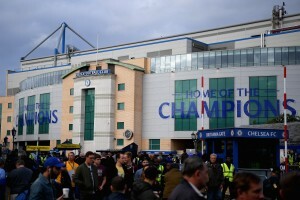 Real Madrid will have to work hard to conjure up every opportunity, although they should have enough firepower in their tank to get a close win. Not without Getafe causing some damage though, and The Hard Tackle predicts a 2-1 win for Julen Lopetegui & co.